Mamata Banerjee has done something which the self-styled secular Congress could never do--taking a tough stand against Praveen Togadia. The TMC government in West Bengal had said that it would not allow the Vishwa Hindu Parishad (VHP) chief to enter West Bengal. The government remained firm and Togadia was barred from entering the state. Also, West Bengal government detained nearly 300 VHP activists who were marching towards the venue of their meet in Kolkata. Now the VHP leader is crying foul and is criticising the WB government. Left with no option, Togadia had to cancel his visit. Trinamool government should definitely be congratulated for taking the step. While Togadia talks of right to free speech and says that his voice was muzzled. But the VHP leader is known for his inflammatory speeches, particularly, venomous and vitriolic words against Muslims and Christians. He has delivered countless hate speeches that have injected poison in the minds of citizens, city after city, for decades. But Congress could never rein in Togadia and other such leaders of the Sangh Parivar. In fact, when the party [Congress] was in power in most of the states, it never acted tough on hate speeches. Its leaders seemed indifferent. FIRs were seldom registered and arrests were totally out of question. While MIM leader Asaduddin Owaisi's was arrested after being booked for a hate speech, a similar hate speech by Togadia in Maharashtra didn't lead to his arrest [LINK]. Congress government registered FIR only after TV channels aired parts of the speech repeatedly. 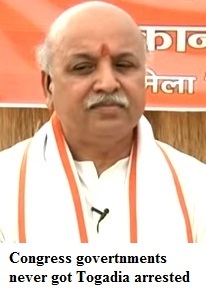 SEE THIS ABP News Video: Why Togadia not arrested for his hate speech? However, there was no arrest. In fact, in most cases, even if FIR was registered, Congress governments later withdrew them. This emboldened the lumpen elements. Congress leaders talk of secular ethos but such double standards have hurt the party. However, they don't seem to learn any lesson. 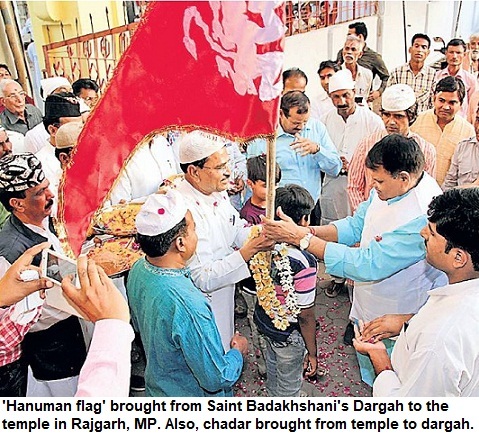 In UP, Samajwadi Party, which also claims to be secular, hasn't taken similar tough decisions. SP continues to bar MIM leaders from addressing rallies but when it comes to VHP, Hindu Vahini or Bajrang Dal, it allows them a free un. For the moment, it is a laudable step on part of West Bengal government. Just because a group or organisation has a large following, state governments can't succumb to their demands. 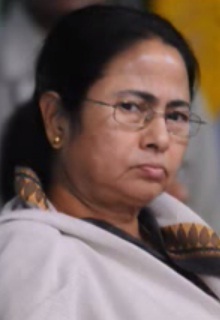 Hope, Mamata Banerji.